The Seattle Mariners and Arizona Diamondbacks reached a late night deal before Thanksgiving day with five players on the move. The Mariners has turned over their roster ever sense Jerry Dipoto has stepped into the front office and same as the Diamondbacks with Tony La Russa joining the club. m site, the Arizona Diamondbacks have announced that they have acquire Taijuan Walker and Ketel Marte from the Mariners for Zac Curtis, Mitch Haniger, and the most notable return in Jean Segura. 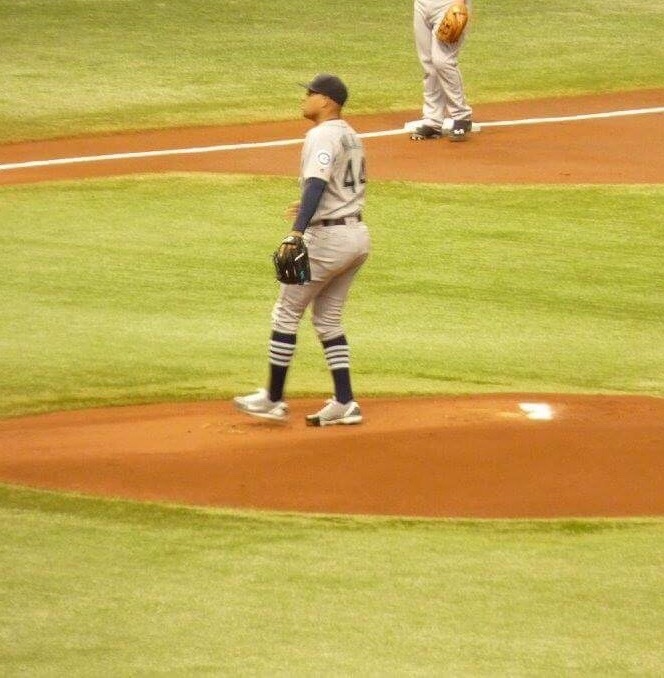 Now, I cannot believe that the Mariners gave up so quickly on Taijuan Walker and Ketel Marte, as they are under team control for a while, plus that they are young and so talented. Now, Jerry Dipoto has no ties to those two, which was maybe the reason why he let them go and picked up Jean Segura, who he drafted in Los Angeles, but never got the chance to see him play in a full-time Angels jersey, as he was one of the prize pieces in the trade that bought Zack Greinke to the Angels. Furthermore, the Diamondbacks picked up a good shortstop in Ketel Marte, who is only 23 years old. He is under team control until 2022. Marte took a small decline at the plate, but to be fair, the switch hitting youngster played in more games and gained many more at-bats. He played in 119 games with 466 at-bats and swinging a fair slash line of .259/.287/.323 by driving in 33 RBIs. He is not a power bat, but he is a nice slap hitter, who has the ability to play small ball well by attempting to bunt and swipe bags. He stole 11 bags last season and his defense took a hit by committing 21 errors. Also, Marte seems like the team’s starting shortstop after New General Manager Mike Hazen said “we believe we have acquired a talented switch-hitting shortstop.” Now, he can play second base if Chris Owings and Nick Ahmed fair better defensively at the shortstop position. Also, Marte is not a lock to start, but he seems like the favorite now. He will compete with Phil Gosselin, Chris Owings, and Nick Ahmed in spring training for playing time for one of the up the middle positions. On the pitching side, Walker was once a top three prospect in all of baseball and has battled through injuries up at the highest level, which has resulted in a mix of good and bad outings. He is only 24 years old and has great offerings. The Diamondbacks did this trade to get him and it is quite obvious. Also, it is hard to land a player like Walker in a trade, as the Rays were unsuccessful back in 2014 when trying to trade away David Price for Walker. In addition, the powerful right-handed pitcher is under team control until 2021 and that is a bonus, especially for a young and quality arm that can turn into something very special. Hazen only speaks great words about his new coveted prize by saying “Young, controllable pitching is hard to find and adding Taijuan to the rotation gives us significant depth in that area.” Walker finished last season with a losing record of 8-11 in 134.1 innings (25 starts) and punched out 119 batters. He needs to limit the walks, as he allowed 37 of them and if he would have pitched more innings that number would have finished at around 60 to 70 walks. Finally, Walker has shown progression and will be joining an up and coming rotation in Arizona. The rotation includes Zack Greinke, Rubby De La Rosa, Robbie Ray, Archie Bradley, Brandon Shipley, and Shelby Miller. Now, the rotation will not have all of them in there at once, but those are solid options for the Diamondbacks to pick on. The loser of the battle will most likely be either traded, optioned to Triple-A, or lastly, pitching from the bullpen.